RAJEPRA : It is a national organization combining all protestant secondary school students in the whole country. 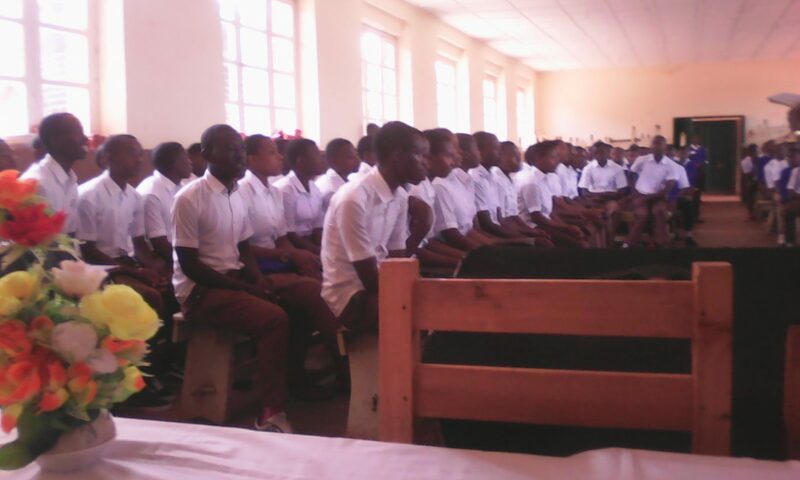 Each secondary school in Rwanda has to have its organization where all protestant students (Pentecostal, Anglicans, Baptist…) are being together and : -Worship together every Sunday, forming choirs , helping each other among them and try to sensitive protestant values in their respective schools. I, Pastor Mugiraneza Emmanuel , am the chaplain of RAJEPRA in “Groupe Scolaire de la Salle Byumba. The images below, it was their first day of meeting this year 2019, on 20 /January/ 2019.